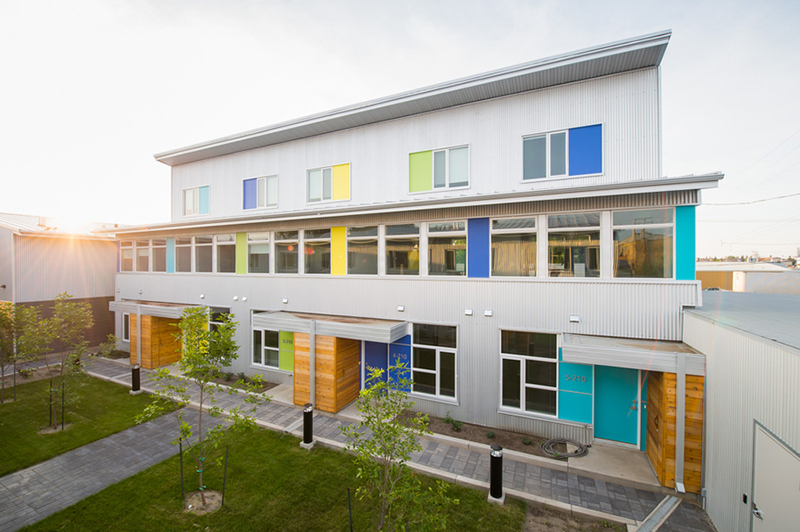 The Edge is an infill housing project located in the core neighbourhood of Riversdale. 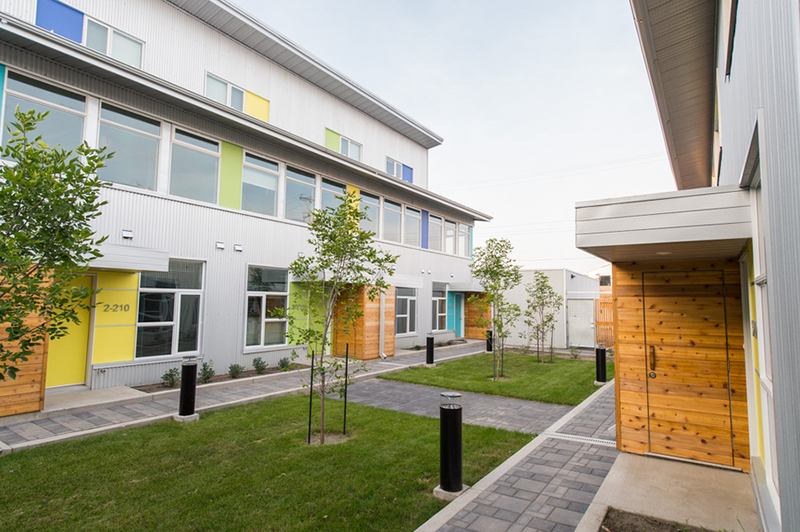 The aim of our client, a private developer, was to create an affordable housing option for individuals and families interested in living in a core neighbourhood of Saskatoon. A modest budget and accelerated schedule was established at the start of the project in order to provide maximum value to prospective buyers. It was important for us to design a building that would fit in and celebrate what was vital and good in the area. 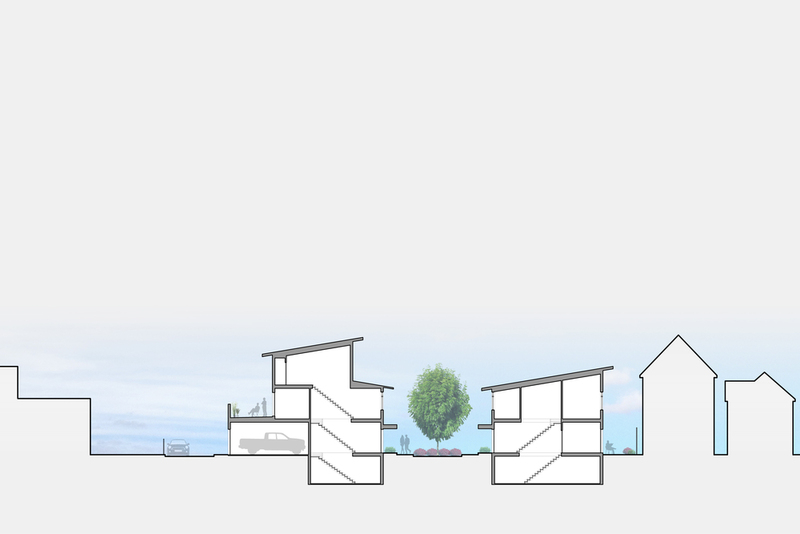 The architecture reinforces the scale of the neighbouring homes and mimics the rhythm created by the front porches of the adjacent single family homes. 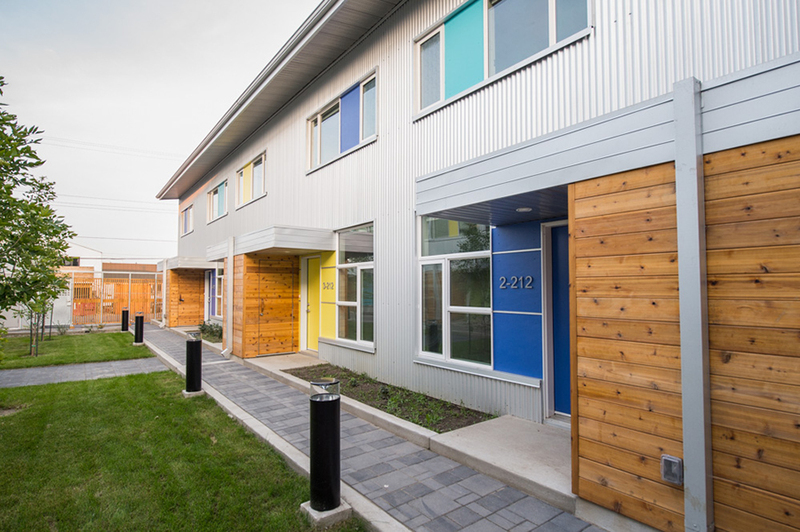 Simple and durable envelope materials were chosen with a distinct colour palette that celebrates the vitality and energy of the surrounding neighbourhood and brings individuality to each unit. 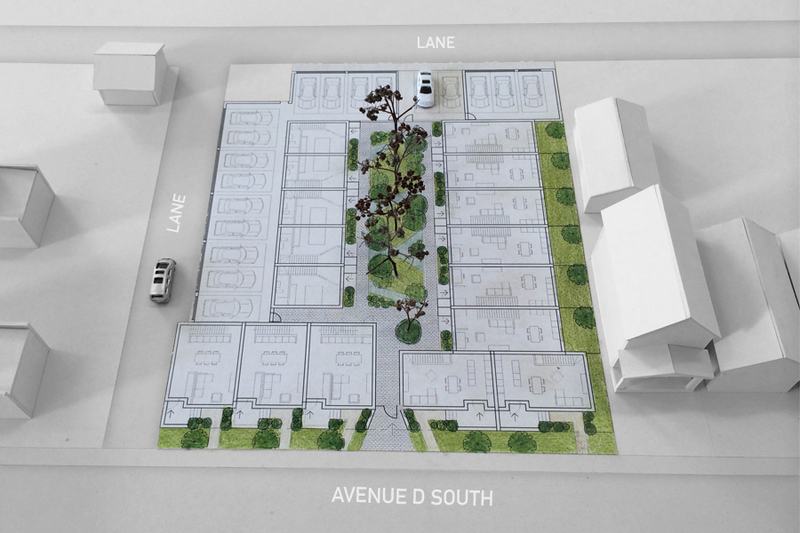 From the beginning, all major design decisions focused on the relationship between the complex as whole and the naturalized courtyard at its center. 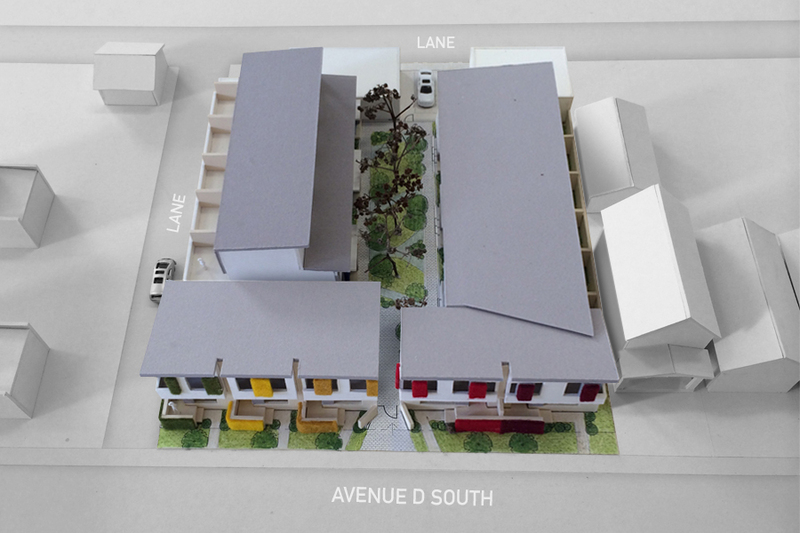 This courtyard typology creates a medium density living condition in which each unit has dual exposures with excellent access to fresh air and sunlight, with private outdoor spaces and a communal social space in the shared courtyard. 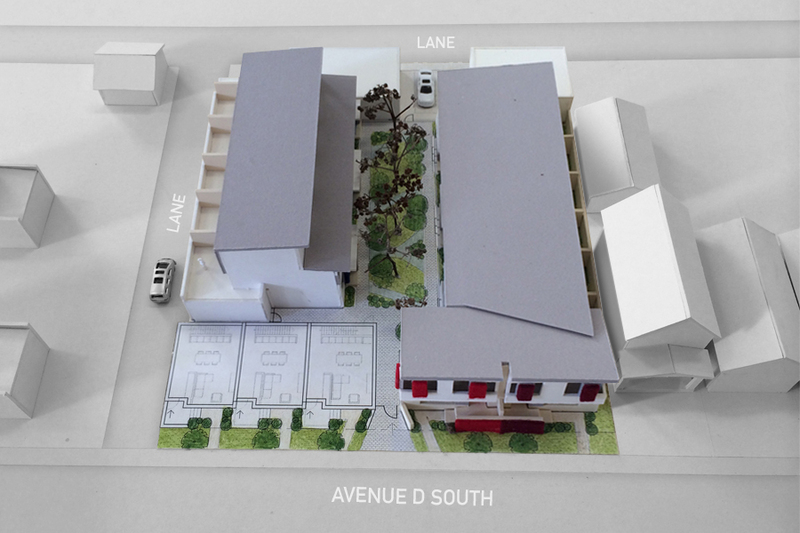 Although the site zoning allowed for a larger mid-rise apartment building, through the design process we found that a compact courtyard model provided a similar density with more amenities for residents. All units have some form of private outdoor spaces in the form of a deck, yard or stoop.